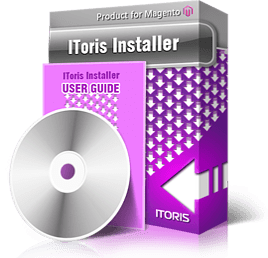 Installing extensions for Magento can beat your brains out sometimes, so to facilitate the task with our extensions and design theme we have developed IToris Installer. All you need is to download it and unpack to the root of your site. After that you will see it in the menu in admin area (System –>IToris extensions –> IToris Installer). Open it and get the user-friendly interface to manage our products – now you will see all installed and available IToris extensions and themes, can update, activate and install them with one click. 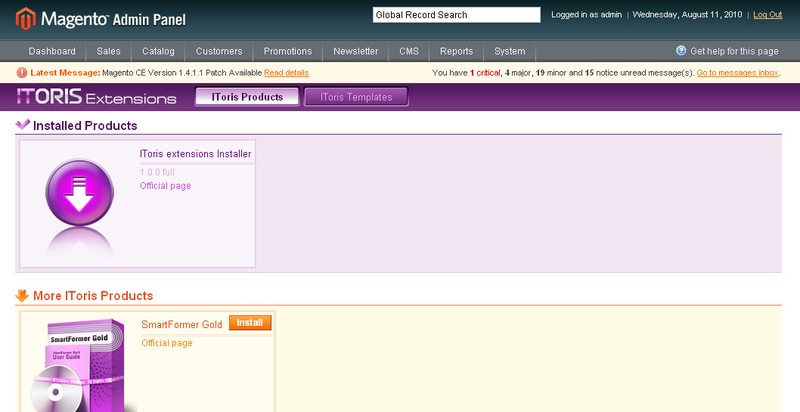 The Installer has two pages for management to be more convenient – IToris products and IToris Templates. By defaults Products’ page is selected. The products are grouped there – first you will see the products that are installed already, then there will go the products available from IToris that you have not got yet. Each product goes in a separate box. The box can be clicked for additional details. 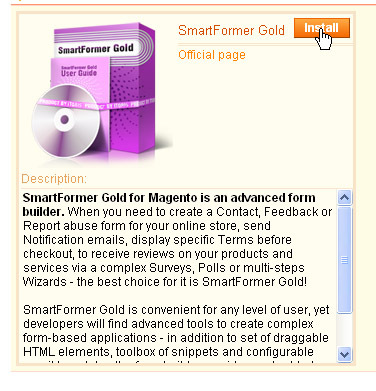 If you have not installed a product yet – you will have Install button. If you have installed the product already - you will see if the version you have is a trial or full version, will be able to activate trial, to update to the latest version or to delete an extension.